A beautiful and quiet place to live, perfect for families, great neighbors, here is one of those places you feel happy comfortable and safe!!! Me and my family loves this place, and we been here for 9 years now!!! We are so glad you like living here at Summit Place. It is a hidden gem in Methuen. Thank you! We love having you here as our neighbor at Summit Place. We are a nice hidden gem in Methuen - close to everything but far enough that it is quiet. Hi Richard - We are very happy that you have chosen Summit Place for your home. Our maintenance team is second to none and will always answer when a resident calls. Thank you Anderson! We strive to be the very best that Lincoln Property Co expects of us. An excellent, and safe place to live. Pet-friendly. Close to major highways-495 and 93. Next to the Loop shopping area and AMC theaters. Happy living! Thank you Ubaldo! It is wonderful having you as a neighbor and you are right Happy Living! My Resident Experience has been truly amazing so far, as someone who was so worried about moving & finding my own apartment with my Boyfriend the staff at Summit Place made the experience so welcoming & easy & friendly. I am glad I moved here! Welcome Home Justine. We are glad to have you call Summit Place your home! If there is anything that we can do just let us know! Great location with easy access to everything. Extremely quiet environment barely hear anything while in apartment . Moved in January. Can't wait to see the trees bloom! We are glad you called Summit Place your home! The grounds and surrounding views are gorgeous in the spring & fall times. Thank you! We will always strive to be the very best in customer service - that is what Lincoln Property Co is known for. My my experience in here at Summit place is very nice my kids and love being here it such a comfortable and beautiful place to leave I love the storage,a lot of closet space ,very quiet it’s homey here overall I love this place. Thank you! We have the best location hidden away for a nice quiet neighborhood. As you said you can't beat the closet space. We moved in five days ago and so far so good! Everyone who helped us in the main office was great. We have met a couple of neighbors so far and everyone seems quite friendly. Welcome Home!  We are looking forward to an exciting year here at Summit Place. Thank you! We are a hidden gem within Methuen and as you said you can't beat the location. I been living here since 2013 and I love it... management are very nice and friendly plus the maintenance people are very good. Nice to place to live. We love having you as our neighbor! We strive to be the very best in customer service to our residents. The front office staff is great, my being respectful and courteous while the residents are friendly and helpful to each other. The Spring, Summer and Fall landscapers do an excellent job to make the property look great. We strive to provide the very best in customer service and we will always treat our neighbors with the respect they deserve. We are a hidden gem within the city of Methuen. We love to have you as our neighbor! At Summit Place we strive to be the very best in customer service. We also love the fact that we are so close to shopping. Beautiful location with a gorgeous view and near to EVERYTHING!! Staff in the leasing office particularly Danielle and Heather are very helpful and friendly. Welcome to your new home!!!! We are happy that you are a neighbor of ours. We are a hidden gem in Methuen and like the quietness of our neighborhood. I have thoroughly enjoyed living at summit place for almost two years now. It is close and convenient to everything. The grounds are beautiful, and my son and I enjoy them quite often. We love living at summit place! We are so happy you and your son love living at Summit Place. We are the hidden gem in Methuen! Welcome Home!!!!! We are happy to have you as our neighbor! The trash is always a concern and an uphill battle sometimes but with the help of all of the residents it can get better. We are such a beautiful but hidden gem in Methuen! We are so happy you have called Summit Place your home. My third year living here. First unit was great. But needed to move bc of a crazy neighbor. Second unit was a mess when I moved in. it took a few months for them to fix all the problems. We are glad you have kept Summit Place your home. Going forward you will always receive the highest quality of customer service and maintenance we are known for. Nice place to live well taken care of. Peaceful and with lovely views. Neighbors are nice. ammenities are well kept. They care about the tenants. We are the hidden gem in Methuen! We love to have you as our neighbor. We are so happy that you love living here at Summit Place. This is a GREAT place to call home. Easy living. The office personnel is very professional, efficient, and extremely helpful. The maintenance team is 2nd to non. It is a real pleasure living here for the 2 years I've been here. Thank you!!!! We strive to be the very best that Lincoln Property expects us to be! Thank you Linda. We do strive to be the very best in maintenance as well as customer service. It’s so peaceful and everyone is so nice. This is definitely home in every way. The scenery is beautiful from every turn your take. Very homey and welcoming. That's one of the many things that Summit Place has to offer. We are a hidden gem in Methuen! For the most part very quiet. Always issues with the trash compactor. The mess that people leave in front of it makes this pretty community look cheap and dirty. We love the fact that while just off the highway it is a quiet place. The trash is an ongoing issue but we will not give up - we just need everyone to do what they are asked to do and it would be so much better.